SEATTLE, Wash. -- DeepCell Industries™, an emerging cannabis technology development company focusing on products for the emerging natural wellness markets, is proud to announce expanded product offerings in cannabidiol (CBD), which has drawn significant medical interest because of its potential impact on users’ health and wellness. The growing number of products is due to increased demand and new markets in Arizona and California, with upcoming plans to launch in Oregon. DeepCell products are currently available in more than 140 stores in Washington and are expected to be in 1,000 stores by mid-2018 across Washington, California, Arizona and Oregon. DeepCell’s newest products, Ruby Cannabis Salt, a hand-crafted Himalayan salt with a savory focus, and Ruby LITE, a sugar-free and low-glycemic sweetener, are available in Washington in CBD and THC. In addition, Ruby in CBD launched in January 2018 in California when recreational marijuana became legal in the state, and is also now available in Arizona. Ruby CBD Sugar is the world’s first CBD-infused sugar made with organic and all-natural ingredients. Products coming to Washington state in early 2018 include Ruby Salted Caramels, Ruby Topicals and Ruby CBD GEMS, ready-to-eat cannabis chewables with certified organic sugar and organic fruit. Other future items include cold-press coffee, protein powders, pre-biotics and anti-anxiety products. 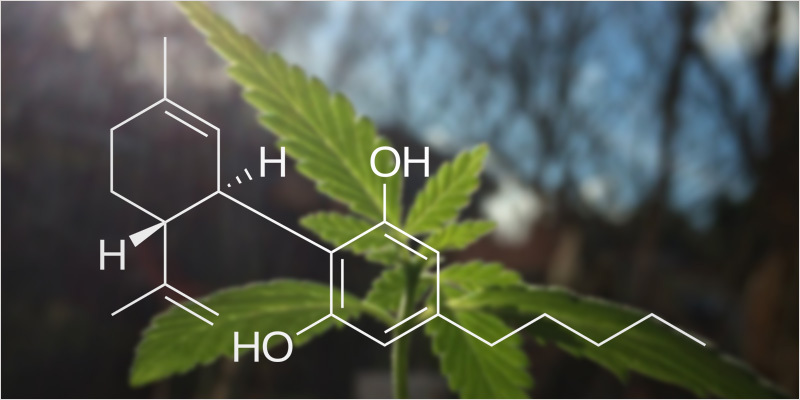 Cannabidiol (CBD) is a cannabinoid derived from the cannabis plant and produced by hemp, a strain of cannabis that produces little to no THC. 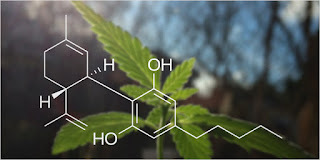 Aside from being predominantly derived from a different type of cannabis plant, CBD also differs from THC in that it has no mind-altering psychoactive effects, meaning it does not give users a “high.” This characteristic of CBD makes it of great interest to researchers and companies such as DeepCell for its therapeutic potential – such as relief from inflammation, chronic pain, anxiety, seizures and more – for those who do not want feelings of intoxication. Ogilvie’s intersectional background in government, biotechnology and business provide him with a well-rounded perspective on the future of cannabis. His interest in the field began when his sister, who is epileptic, began treating her pain and seizures with Ruby CBD. She had previously become addicted to opiates following a series of surgeries, and after a painful recovery process, she turned to cannabis for relief. Her experience remains a motivation for Ogilvie in leading DeepCell, which works to change the perception of a cannabis user. “I challenge you to rethink who you imagine is a cannabis user…it’s a father. To rethink who buys cannabis in the stores…it’s a grandmother. To rethink whether ‘illegal’ means wrong,” he said in his TEDx talk, Cannabis as Democratized Medicine. According to a recent Pew Research Center survey, about 61 percent of U.S. adults say the use of marijuana should be legalized. A Yahoo/Marist poll from 2017 found two-thirds of survey respondents said opioid drugs, such as Vicodin or OxyContin, are “riskier” to use than cannabis. DeepCell’s flagship brand Ruby Cannabis Sugar™ is built on its patented Crystal Fusion technology, which fuses cannabinoids with crystal structures, enabling users to accurately dose in beverages and food. The infused crystals have water solubility and shelf stability. With its Ruby line of “flexible edibles,” DeepCell is creating delicious CBD and THC infused foods that discerning users can easily incorporate into their lives. Products are sourced only from sustainable, domestic supply partners. For more information, please visit www.deepcell.industries or www.rubyedibles.com. DeepCell Industries is a Seattle-based technology development company focusing on material science, microfluidics and cannabinoid molecule discoveries. DeepCell has pioneered the use of Crystal Fusion™ process as their first commercially-ready nanotechnology available for license. Ruby Cannabis Sugar™ has been named a Dope Magazine “Product We Love” and “high-quality and discreet” by Culture Magazine.